Since 2010 Highly Educated has been busy introducing many products which have evolved into the core staple concepts that you may know and use today. 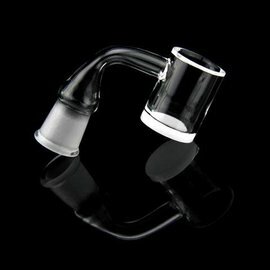 Concepts like fully adjustable titanium nails, convertible/adjustable domeless nails, multiple joint compatibility, electronic nails (E-Nail) and carb caps. These are all concepts that were first introduced to market by Highly Educated. Fast forward to today, and just about every concentrate accessory company uses at least one of those concepts in their product line, and that's just fine by us. Because we at Highly Educated did not invent the Ti-Nail, we only aimed to innovate it. Most recently Highly Educated has began manufacturing quartz accessories to expand our umbrella of current products and increase our ability to develop new creative products. Since then, Highly Educated was one of the first companies to offer machined quartz nail accessories to market and was the first to introduce the opaque quartz material and subsequent opaque quartz nail accessories to market. We are excited with our small contributions to the quartz arena and it is our goal to continue to innovate the quartz and titanium arenas with more contributions in the future. Quality is our goal. Not only in product but in service and customer satisfaction. We strive to provide quality machined American made products from 99.9% pure material sources.